[INQ. NO. 1406E09] Many of the reliable and practical successes achieved through EUREKA among Korean companies can undoubtedly be witnessed through many joint R&D projects. GMT’s strategic partnership with EUREKA made it possible for the company to stand shoulder-toshoulder with global topprofile partners and even competitors and enabled it to enjoy noteworthy performance in global markets. The following story of GMT not only tells us about the dynamic journey with EUREKA, but testifies to the successful performance through it as well. Established in 2002, GMT has exclusively developed and supplied products related to vessel monitoring /sailing, and maritime communications in the maritime safety & security fields. 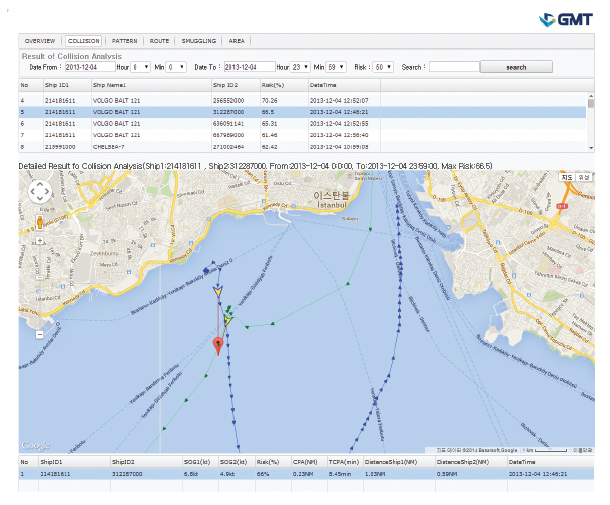 GMT has maintained its steady efforts to develop vessel-related advanced IT technologies and supplied a wide variety of maritime communication equipment-related technologies and products including AIS (Automatic Identification System)-based monitoring systems, voyage terminals to governments, vessel companies, etc. and won praise for continuous reliability from them. GMT’s dedicated efforts to contribute to the localization of basic technologies are noteworthy in light of the fact that although Korea’s shipbuilding industry has undoubtedly led the global market, the IT technologies and equipment used in the nation’s shipbuilding industry could have been obtained from foreign manufacturers by the early 2000s. Moreover, the awareness of necessity of technologies related to harbor monitoring and vessels monitoring-related products rarely existed in the local market before GMT began its business. The initial engagement of GMT in this area started by its actively seizing opportunities to develop technology and supply of product-related AIS. GMT has successfully managed to develop technologies and manufacture new products and gained recognition for reliability from client companies, despite its late delivery time and insufficient overall experience in these areas, by solely focusing on how to resolve these obstacles and meet the needs of customers. Since then, GMT has grown into a company that follows a procedure of continuously verifying selfdeveloped products to market and reflects voices of the clients in order to apply them to the R&D process and to ultimately win customers’ satisfaction. Recognizing at an early stage the importance of original technology, GMT established its R&D institute as soon as it launched its business. Such a series of effective approaches made it possible for the company to develop technologies necessary in monitoring and sailing such as processing technology of electronic marine chart, marine communication technology, controlling application technology, and embedded system-related technology. In the initial stage of its efforts to develop technologies meeting international standards and discover new foreign business and global partners, GMT had to suffer from the downsizing of its maritime safety & security business, following the financial crisis sparked by the Lehman Brothers collapse in 2008. This led the company to realize that it should seek newer methods to shorten the cycle from design, to manufacturing and supply products satisfying clients in the global market. In order to overcome this situation, GMT decided to make a request a Swedish company in 2009 it has ben partnering with in the area of AIS to carry out a test on how many advantages the sailing terminals manufactured by GMT have over those of competitors. Surprisingly, GMT received favorable responses from the technology partner. So, luckily, GMT could export 3,000 units of sailing terminals to Turkey. This led to greater confidence for GMT to pioneer potential new markets, enough to attempt an international bid to participate in a project to build a vessel-monitoring center in Singapore harbor and unbelievably succeeded in receiving an order for the project, beating rival bidders. However, soon it regrettably recognized the reality that without a process of systematizing technologies and products enough to cover many obstacles in foreign markets, such kinds of business ventures in the overseas markets would likely lead to deficits. European companies including Turkey’s Aselsan and France’s Thales, with the aim to obtain advanced knowhow, elevate its level of technologies, and create opportunities to encourage researchers to shorten the cycle of technology development. In fact, GMT was fully ready to meet the conditions to attempt the EUREKA business. In 2011, GMT, without any delay, applied to participate in the EUREKA program with ample understanding of it. The very project was called “RECONSURVE (Reconfigurable Surveillance System with Communicating Smart Sensors) Cluster,” the largest scale among EUREKA projects. 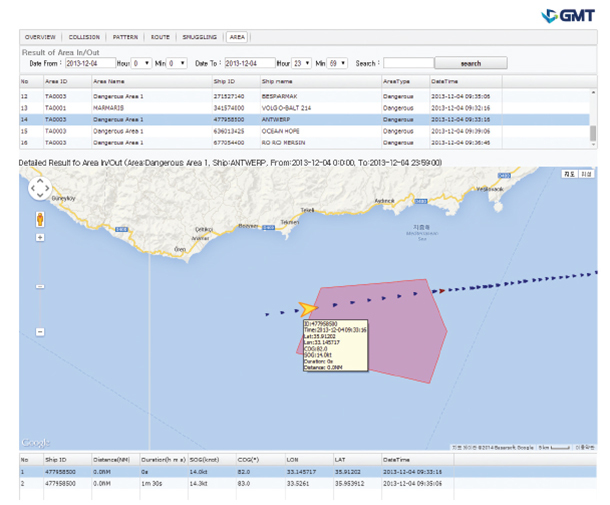 RECONSURVE is called the “multipurpose maritime surveillance system” and is designed to supply monitoring information concerning safety and security to final users on a real-time basis by using a technology of situation recognition on information collected by utilizing technologies of connecting and integrating a variety of sensors, real time-based middleware technology, and technology of connecting wireless communications networks. 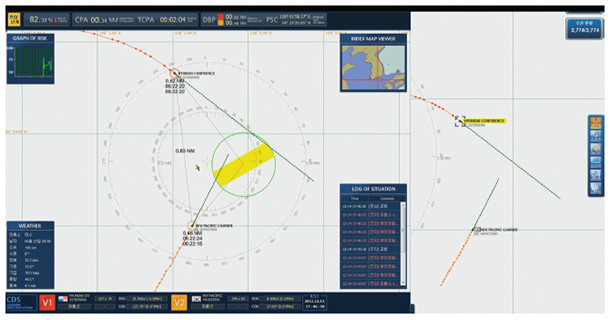 GMT, in a sense, was a joint developer of the system with the European partner companies when judging from the perspective that it actively participated in forming the concept of the system by taking the professional role of elevating the level of technological service on the section of AIS to the next level (including upgrading a process of navigation pattern analysis to help final users to make a decision more effectively at the very right time before the occurrence of emergency situation). Through the EUREKA program, GMT was able to develop intelligent monitoring solutions with a variety of sensors that were worthy of becoming a main business of the company, in cooperation with 11 companies from three nations. sector is emerging as a strong growth engine, enough to fully lead the front line in extending the presence of the company. The attention toward E-Navigation from countries around the world led by IMO (International Maritime Organization) is highly noticeable. 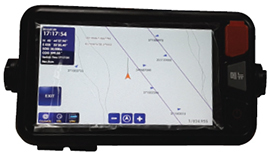 IMO was already determined to apply the law step-by-step by compulsorily legislating the E-Navigation-related technology and system. As a leader in the ENavigation field, GMT is now said to be fortunately in a situation when it can take advantage of the very best possible opportunities to develop the existing models of its product into upgraded ones in terms of practical functions, not only to help preemptively prevent the occurrence of such kinds of tragic disasters, but to advance into the global market again as well. 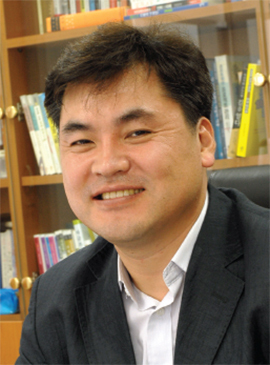 “Without any doubt, we faced a sluggish growth pattern for a considerable time across the overall businesses, but since witnessing the practical effects of EUREKA in our joint projects (including the development of a series of global market competitive technologies) and thereafter accelerated creation of new business, our sales scale reached a level beyond our previous expectations, recording a whopping KRW 12.4 billion in 2013. In 2014, we are also expected to see sales scale on the rise. In three or four years, the sales scale from the direct effect of EUREKA is expected to be at a level at least double that of last year, “confidently predicted Lee Gweon-seok, CEO of the company.